Although the feverish craze for all-red colorways that proliferated the world of sneakers in 2014 has since cooled back down to manageable temperatures, an all-red pair of kicks is still a favorite among many. Boasting a head-turning tonal look that’s sure to catch the eyes of seasoned sneakerheads and casual observers alike, all-red footwear is certainly not subtle — and now Japan’s atmos is trying their hand at the conspicuous colorway with the release of a brand-new adidas Deerupt. Everything from the netted overlay to the one-piece upper and midsole is dressed in a striking crimson to provide a bold look, while white branded accents on the heel and under the medial midfoot’s netting break up the bright red just enough. A final premium detail is then provided by metallic silver lace tips. These special Deerupts are an atmos exclusive, and are set to release in-store only September 3rd for ¥13,000 — roughly $115 USD. 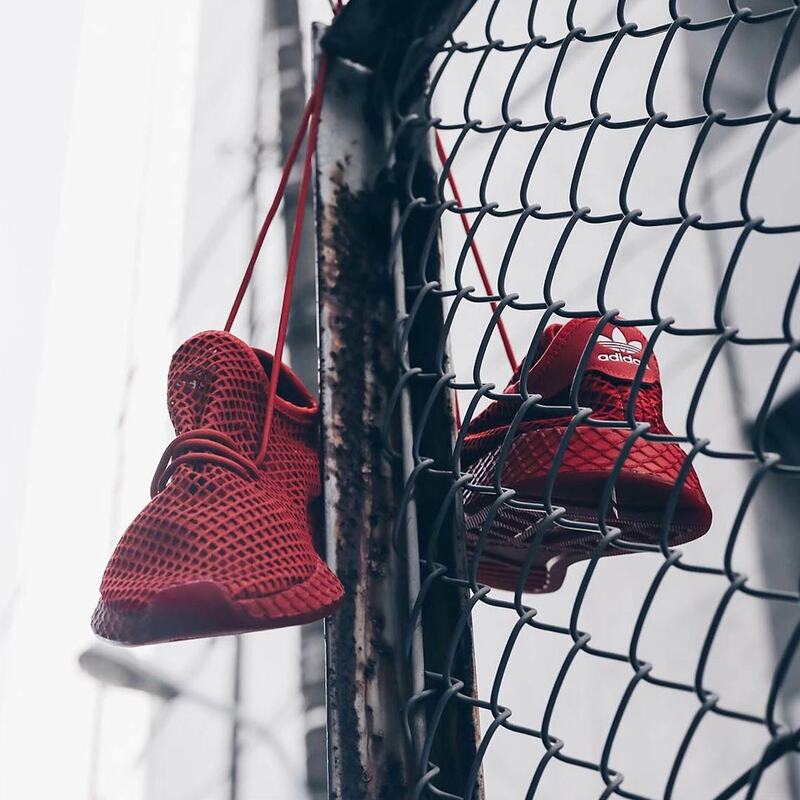 The post atmos Collaborates With adidas For An All-Red Deerupt appeared first on Sneaker News.